The AR500 lightweight armor involved scientific and manufacturing innovation to provide perhaps the best ballistic steel core body armor on the market today. AR500 claims the lightweight armor is genetically similar to our standard level III+ ballistic core, but their re-engineered formula yields a 30% increase in strength, and they were able to make it thinner and lighter as well. This industrial forklift makes no impression on the AR500 armor. 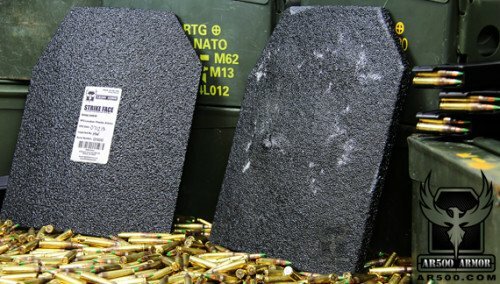 The result is what AR500 claims to be “an industry first” ballistic steel core chest plate weighing in at just over 5 pounds, and cut in a 10” x 12” Advanced Lightweight Shooters Cut (ALSC). The ALSC cut still provides protection of the shooter’s vital organs, but trims the angle of the upper corners to allow greater flexibility. 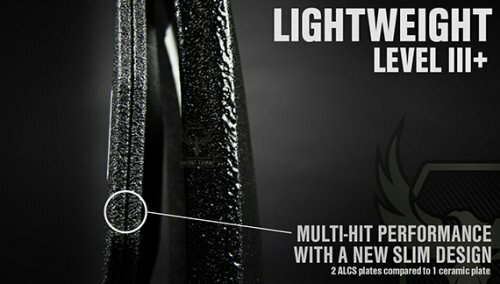 The Lightweight Level III+ body armor is also the thinnest on the market, measuring in with a core thickness of only 0.21”. The ultra-thin profile should improve comfort when shouldering a rifle and reduces overall bulk of the officer’s gear. All of these features should reduce bulk of the officer’s kit, and improve ergonomics and mobility, particularly when operating with a long gun. The ALSC and thin profile make the AR500 Lightweight Armor very desirable. The AR500 Advanced Lightweight Shooters Cut (ALSC) is slightly undersized on the horizontal axis to ensure compatibility with all plate carriers. Buyers should expect several weeks in delivery time, as AR500 is making their plates to specific orders. In addition, the company is preparing to move to a larger facility, but is still considered a small business. Protection – 5.56×45 M193, 5.56×45 M855/SS109, 7.62×39 (AK), and 7.62×51 M80 Ball (.308 Winchester) rounds. 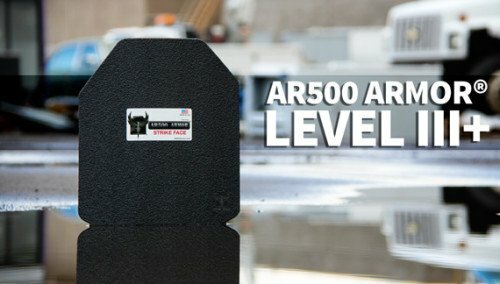 The AR500 lightweight armor plates are given a Level III+/Special Threat Tested rating. AR500 Armor® body armor is Stand-Alone and Multi-Hit capable. Designed to defeat the most common rifle threats in existence. 5.56×45 M193 and 5.56×45 M855 SS109 at a velocity of up to 3,000 feet per second, and 7.62×39, 7.62×51 M80 NATO Ball (.308 Winchester) at velocities up to 2,850 feet per second. (Not rated for AP rounds). AR500 armor protects from many rifle rounds, but not from armor piercing rounds. V50 – (5.56 M193, and 7.62×51 M80 Ball) by Oregon Ballistics Laboratory. V50 testing consists of increasing bullet velocity on each subsequent shot until penetration is achieved, and then determining at which point 50% of the rounds at a given velocity penetrate the body armor. V50 is used to determine top end velocity limits of body armor. Penetration Test – (5.56 M855/SS109, 7.62×39 Mild Steel Core) by H.P. White Laboratory, Inc. Penetration tests test for complete penetration of a given round at a specific velocity in a controlled setting. Penetration Test – (7.62×51 M80 Ball/.308 Winchester) by H.P. White Laboratory, Inc. Penetration tests test for complete penetration of a given round at a specific velocity in a controlled setting. Recently I attended a week-long advanced SWAT course that was held at an Army National Guard base. The base has been continually upgraded over the last decade, including the addition of a very impressive shoot house. Designed with the latest advancements in bullet resistant materials, the shoot house allowed our operators to live-fire train inside a building structure at the same time. A shoot house similar to the one the author used. 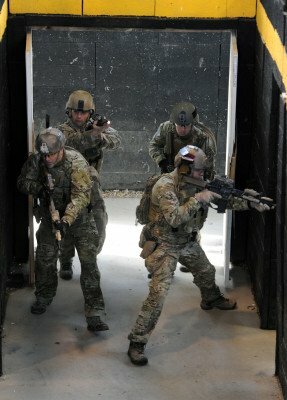 Operators could enter adjacent rooms, and engage separate targets within those rooms, without the fear of a friendly fire casualty. However, no operator was allowed inside the shoot house without rifle-graded ballistic plates. This was to ensure that officers had the highest personal body armor protection should their room entry partner not fully clear their lane of fire. When serving high risk search warrants or arrest warrants most tactical teams do not go into the field without ballistic armor plates to provide protection from most rifle rounds. 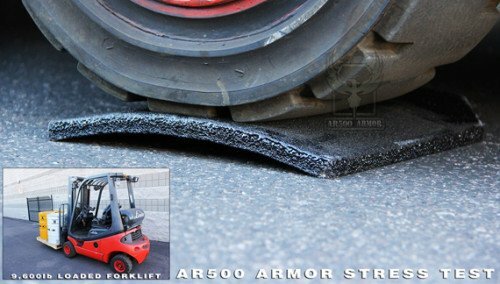 These lightweight plates from AR500 could provide a similar protection for about 2/3 the weight, and in a much more compact configuration allowing operators the greatest potential for maneuverability in tight spaces. I have seen and handled the AR500 plates on several occasions. They appear to be well made, and the studies show their capability at stopping several popular rifle rounds. My current plates are heavy ceramic plates, that weigh about 9 pounds each. They are each nearly an inch thick as well. There is no doubt they are cumbersome to wear. However, despite the heavier weight and bulk, the ceramic plates are rated to stop .30-06 armor-piercing rounds. 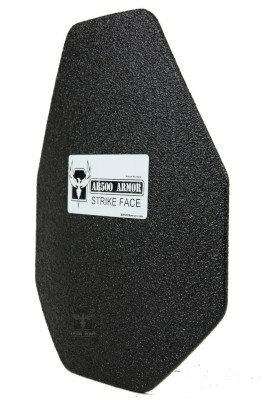 These AR500 Lightweight Armor plates are awesome in size, shape, weight, and function. I have seriously considered purchasing a set for my personal rig, though I have hoped to see a price reduction in Dyneema plates that weigh only about 1.5 pounds each. Still, the AR500 Lightweight Armor plates offer a lot of protection, and would be an outstanding addition to any officer’s carrier. Officers must remember, though, that the AR500 plates will not stop larger rifle rounds like the .30-06.